How Can I Use Gold in a Painting Like Klimt? Portrait of Adele Bloch-Bauer by Gustav Klimt. 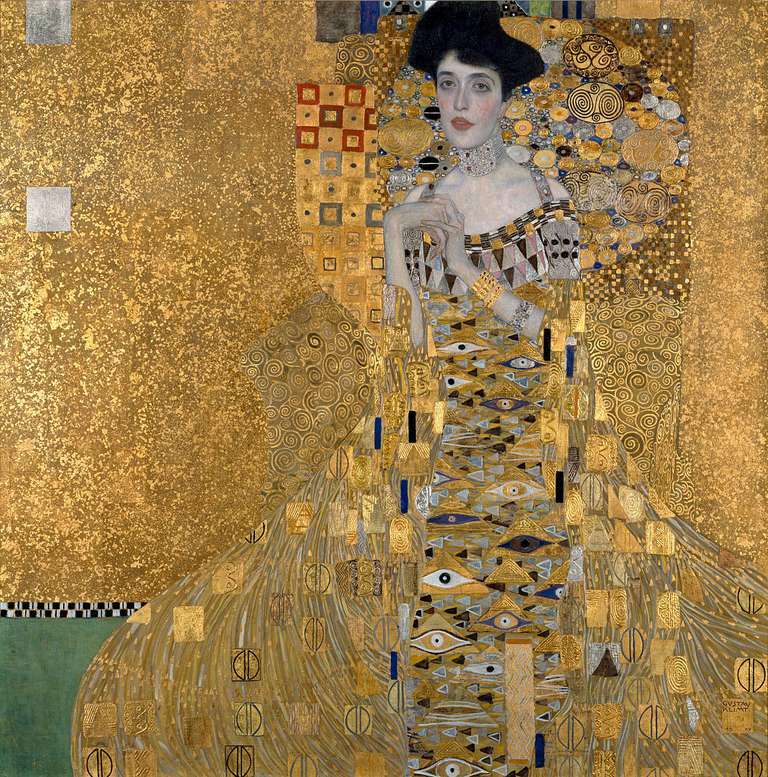 The most important thing to know when considering using gold in your painting is that the gold in Klimt's paintings is gold leaf, rather than the iridescent paints available today. If you want to try it, the larger online art supply stores, like Blick, stock gold leaf that you can use. American Artist magazine has a useful feature on Fred Wessel, who uses egg tempera and gold leaf "to achieve Renaissance luminosity". Regardless of the technique you decide to use, you'll need to experiment to achieve the results you desire. In answer to the question "Why not just use gold paint? ", the Society of Gilders says the reason is that "Gold paints are not really gold ... and will tarnish over time. Some of the newer paints supposedly will not tarnish, but even so, the resemblance to real gold is remote, at best. Despite the ease of applying this material, its visual and physical properties are inferior to those of gold leaf." 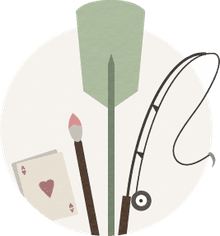 Buy a tube of top artist's quality gold paint and a small gilding starter set, to see what each is like working with and how you feel about the results you get. Be willing to experiment, to create studies, rather than focusing on producing final paintings. There's nothing like trying an approach or technique of an artist you admire to give you another level of appreciation for their work. What is The Real Reason We Paint?